Online marketing is about reaching different people on different mediums because not everyone uses one platform and one way to search. As restorers, you need to be at every intersection your customers are at when they are ready to buy. 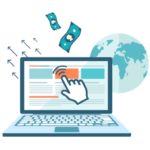 Restoration Digital Marketing helps you close that loop with PPC (Pay Per Click) paid search advertising. Target people who are actively searching for the specific services you offer and in only the geographic areas you want on your specified budget and target people by their job title or because they visited your website. There are a lot of options when it comes to running a successful Google Ads campaign for restoration companies, including managing the proper negative keywords. Pay Per Click ads can help you get in front of clients at the exact moment of need, and when it comes to fire and water damage that’s important. That is one of the reasons these campaigns can be so powerful. 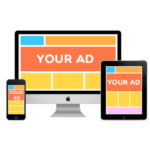 Another part of online paid advertising that can be extremely cost efficient is display ads. In fact, you can typically get display ads which can remarket people who have visited your website for much less than a coffee a day. Call us today, we can give a quote instantly on what it would cost you. One portion of the online paid search mix is social media advertising. Used mostly for brand awareness, similar to display advertising, you can hyper-target specific influential people in your geographic area. Such as; insurance agents, adjusters, facility managers, plumbers, architects and more. 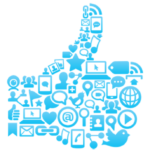 Our goal is to have as many chances for a potential customer to find us as possible. By implementing pay per click campaigns along with your organic strategy, you have the possibility to be on the front page of Google up to three times (PPC, Maps, Organic) when someone searches for water damage restoration services. When marketing online you want to make sure you are reaching people on different mediums and at different stages of the buying cycle. This is why it’s so important to implement all of these cross-channel strategies. There are many cogs in the wheel and all of the cogs have to be operating in order for the wheel to move and that’s how we will approach your online marketing strategy.